As discussed here, was prompted to post it as a brand new question, so here it is :-). After clicking 'Advanced' and clicking 'Proceed', I can go back to the Snippet and see it perfectly. On Chrome 44.0.2403.130 (Official Build) m (32-bit), Windows 10 Pro x64. Should be easily fixed by generating and installing the correct SSL certificate. 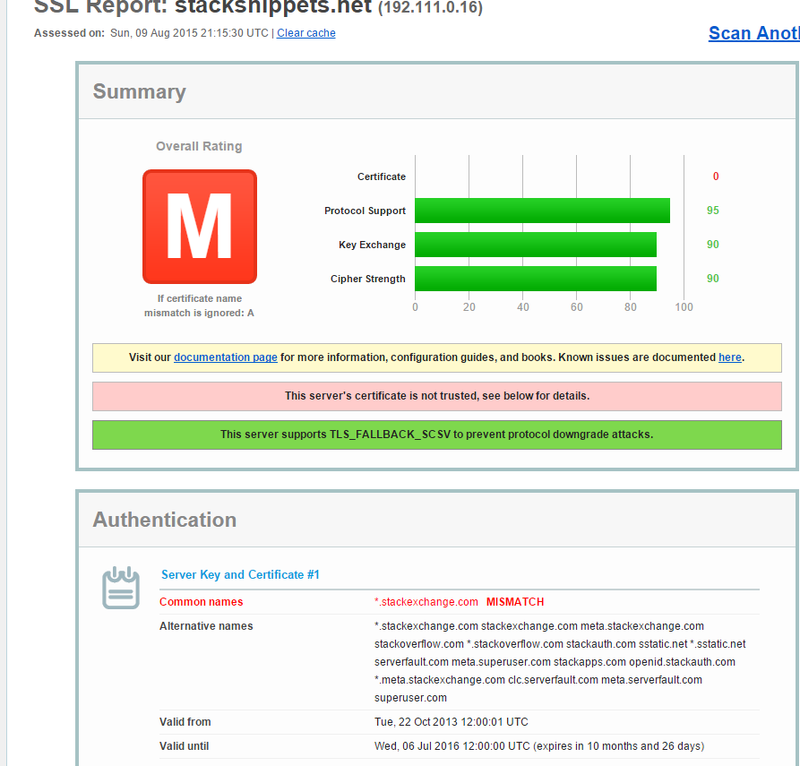 Mind, I don't force SSL and apparently some users have no issues with the current SSL certificate. I acknowledge that SSL isn't officially supported, but if so, why is an HTTPS connection being attempted instead of a normal standard HTTP connection? I see no reason to use HTTPS on Stack Snippets; content on the domain contains no private info and stores no sensitive data. It now has the right cert - an oversight in the DC swap; thanks. Not the answer you're looking for? 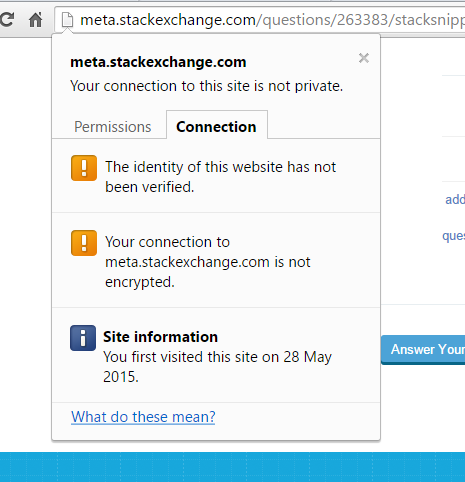 Browse other questions tagged bug status-completed ssl stack-snippets . Is Stack Overflow's (SSL) log-in process optimal from a UX perspective?